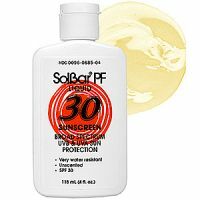 The only sunscreen my husband will use! The liquid sunscreen is so great because it is so light, and great for people who have oily skin! It is also non-comedogenic and water resistant! not too heavy. good price for a top of the line sunblock.